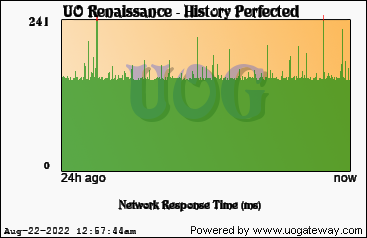 Renaissance is the only shard committed to making a balanced reproduction of the UO:R era. Unmatched Quality / No AFK Gathering / No Donation Shop / Fantastic Economy / Automated Events / Amazing Website. 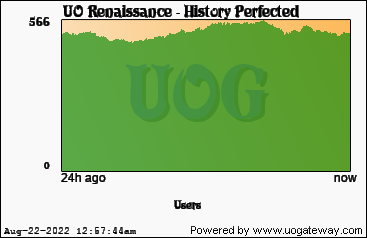 / 500+ Online / Come experience UO the way you remember it. Stats last updated 281 seconds(s) ago using 259116 data samples.